A huge thank you who everyone who came out for our fall tag. I've said it before, we have the very best customers! We so appreciate your support and enthusiasm!!! I just love the way the house evolves over the course of the sale as pieces come and go! If you see something you like, you better grab the tag! You know we can't host a tag sale without cookies! It's amazing how much you can stuff into one small car! I think the boys enjoyed this challenge! These cute little girls are getting a tea party table! Their clever mom paired a round end table from one room of the house with some painted pint sized chairs from another room. Why didn't we think of that? And luckily I had extra chairs in the garage and they are going pink today! Karla rocked this little man right off to sleep while his Grandma shopped! So there you have it, our fall tag sale is a wrap! 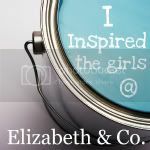 A huge thank you from all of us here at Elizabeth & Co.! And guess what, our Holiday Open House is just six weeks away!!! 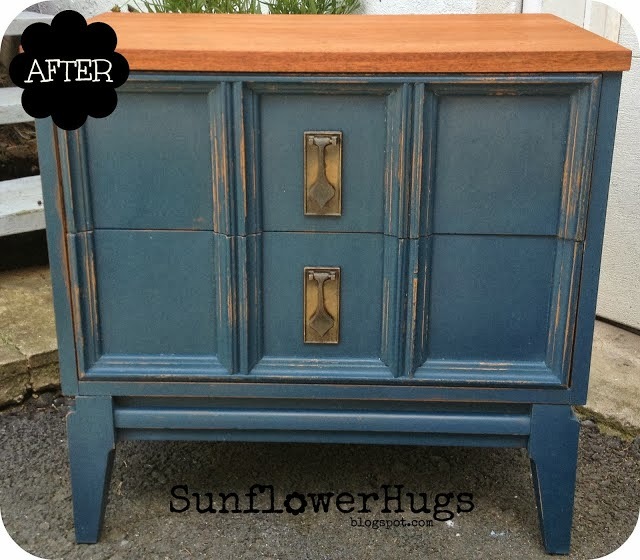 Debbie from Painted Therapy took one very pastel dresser and gave it a whole new identity! 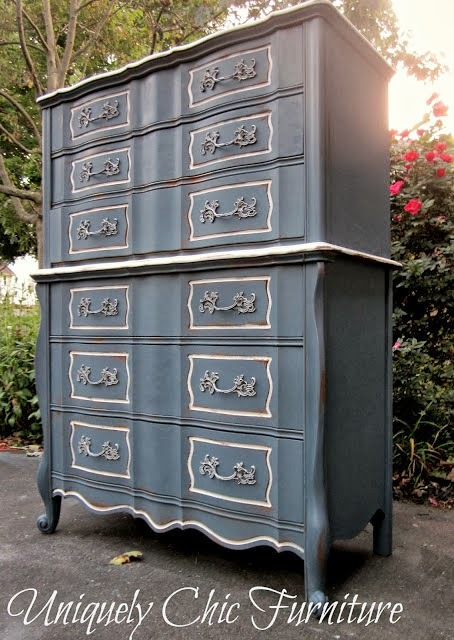 Sue from Uniquely Chic shared this beautiful French Provincial dresser, along with a darling little matching nightstand! 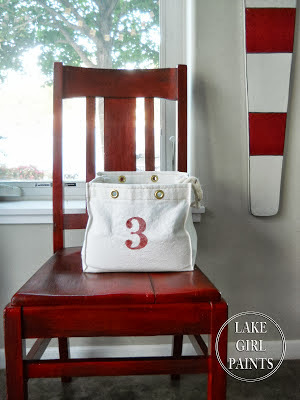 Deb from Lake Girl Paints shared all the details on using a red over black paint layering technique to achieve the Pottery Barn look on a budget! 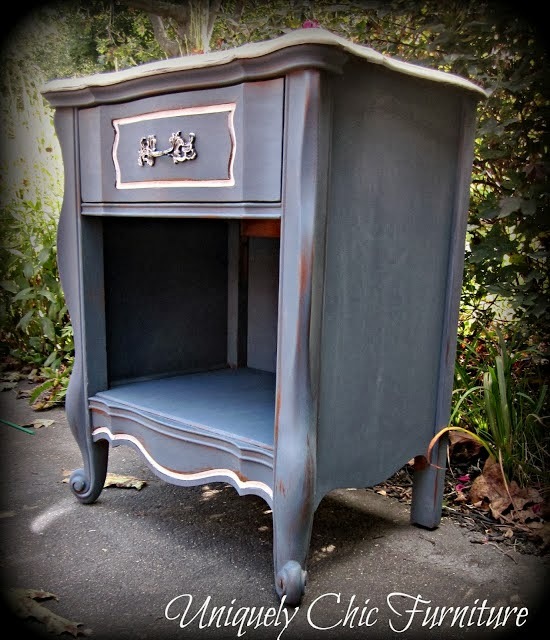 Lisa from Create Inspire not only shared this yummy vanilla china cabinet, but her tried and true method for dealing with bleed through! And Susan from Sunflower Hugs shared her tips on how to use coconut oil as a stain alternative! 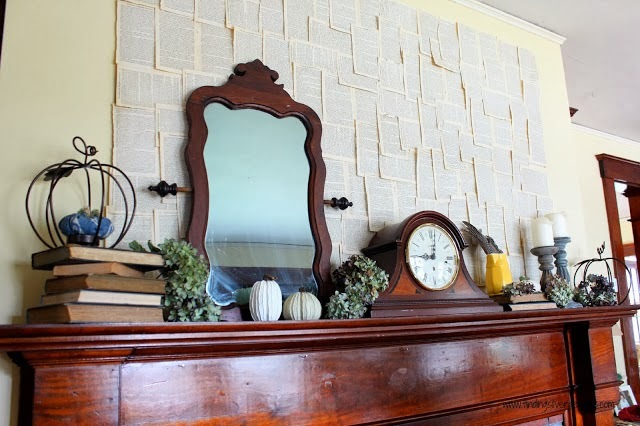 I love the warm vintage feel of this autumn mantel from Danielle at Silver Pennies! And how clever to cover an outdated mirror with book pages! 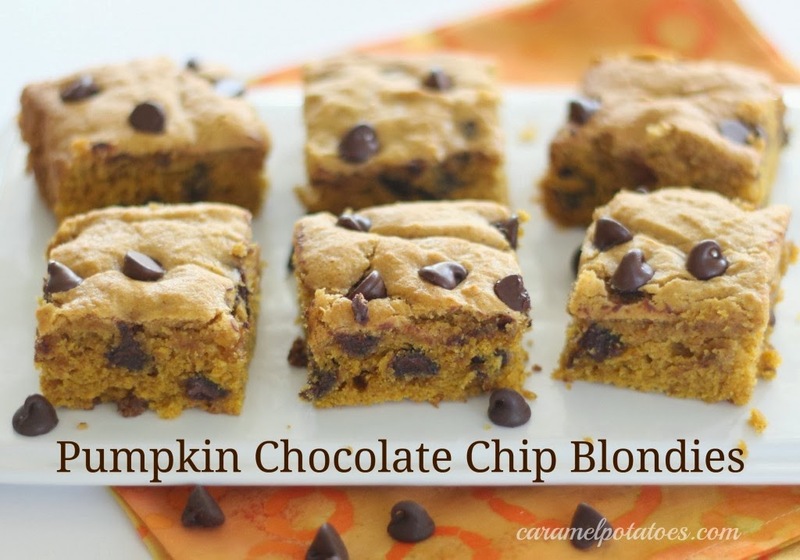 Caramel Potatoes shared these Pumpkin Chocolate Chip Blondies - need I say more? *Grab a party button or link back in some way. You must have a visible link to be considered for a feature. We'll be right here every Tuesday with features and a brand new party!